Uh, yeah, I kind of love it. It has been a long time since the first episode of a drama was this compelling for me. School 2013 drama doesn’t have a flashy cast, production, or plot but it is well produced, acted, and written on all levels. Set in a Seoul high school, the story and characters feel real despite some of the obvious plot contrivances needed for the drama. Overall, the drama tugs at your heart without being precious or pretentious, which a lot of dramas tend to be these days. Yep, it already tugged at my heartstrings. I love youth dramas because adolescence is time when teenagers feel everything so acutely, the good as well as the bad. As awful as life may seem at that moment, there is a glittering sense of hope for the future. Adolescence is the time when humans beings first start to question the meaning of life, struggle to find their purpose, and plan for the future. 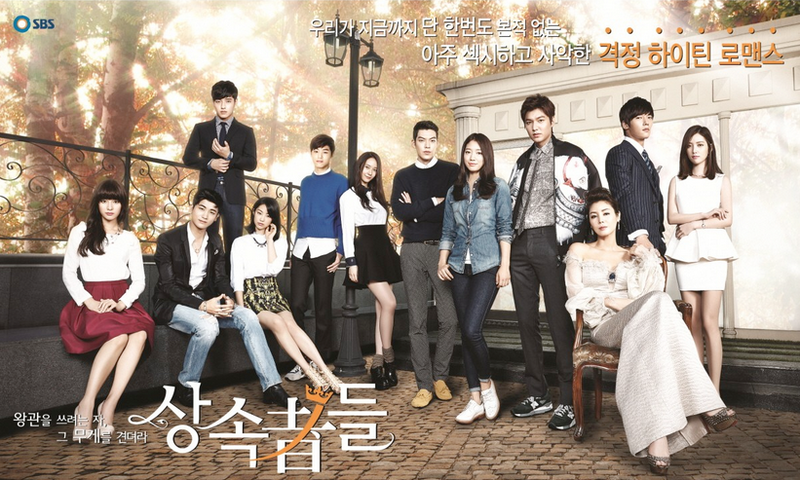 So far, School 2013 promises to be remain true to the heart of adolescence without, as I said, being pretentious. The student characters in this drama face a real Korean school life and the writers are paying careful attention to the details to help create that kind of environment. This drama is not only about the students, however. I don’t like youth dramas that portray a world in which no adults exist and thankfully School 2013 populates its world with a wide range of teachers- the kind who care, the kind who turn a blind eye, the kind who are selfish, and the kind who need to do some growing themselves. I have a blank slate for this drama. I didn’t watch the older School series nor have I watched any previous works of this drama’s writers and directors. I didn’t watch Baby-faced Beauty so I have no lingering sense of affection for the Daniel Choi and Jang Nara relationship. I also haven’t seenJang Nara act in anything for a really long time so I had no idea what to expect from her for this drama. I only hoped she had toned down her overacting and she has! I’m very pleased with her acting in this drama. She is competently portraying her character who is a young teacher put in charge of a troublesome class. Her character, Jung Jae-in, struggles to maintain discipline, fairness, and hope in the teaching process. She cares about her students and her job but it’s hard to maintain that kind of stance in a society that only cares about rank and prestige. We didn’t get a lot of Daniel Choi this episode but he is a good actor and I think his character will do a lot of growing in this drama. 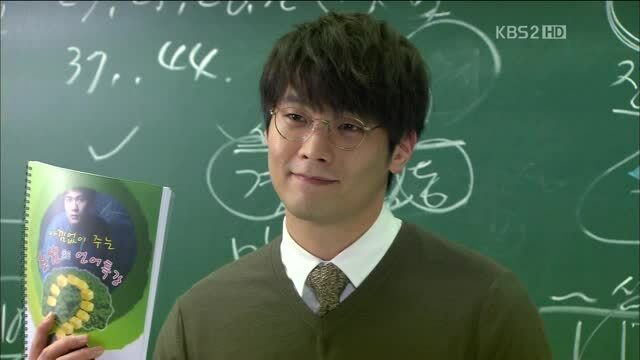 His character, Kang Se-chan, is a popular and esteemed hagwon (cramschool) teacher who is forced to teach in a public school. It will be interesting to see how this teacher, who had the privilege to teach only to students who want to learn, take responsibility of a wide diversity of students, including the troublesome ones. I liked Lee Jong-suk fine in Secret Garden but he was very green there. Here, we can see he has improved and is exuding both the right amount of charisma, warmth, angst, and indifference needed for his character, Go Nam-soon. Kwak Jung-wook, whom you may recognize for White Christmas and Shut Up Flower Boy Band, is someone I have been keeping at eye on for a while now and he doesn’t disappoint. Playing the troubled student who bullies his peers as well as his teachers, Kwak Jung-wook gives his role nuance and sensitivity, making his Oh Jung-ho relatable. As for Park Se-young, we didn’t enough of her character in episode one for me to comment on her acting but I think I can trust her, based on what we got for Faith. The girl has potential, even if she is a little rough around the edges. I’m very, very happy right now. If this is how we are going to start the drama year of 2013, bring it on! Thanks for the write up! I sampled the first episode, it was alright. I think High School/teen story is not my cup of tea anymore. Recent teen shows, Dream High, SUFBB, Answer Me 1997 and this one, haven’t attracted my interest all that much. And a brief depiction of cram school brings back horror of my early childhood education days 🙂 Maybe I’m not ready to visit these types of stories yet. I watched Alice in Cheongdam-dong last weekend. I liked it a lot! Somehow the abruptness of some scenes, over the top music, and odd characterization of the hero really pique my interest. Plus, I want to see how the writer explore the theme of wealth and allusion in a mashup of Alice and Cinderella classics. ahhh…I meant wealth and illusion. I agree, SH. To watch a drama about high school has to be VERY special otherwise I won’t watch it since it’s been 10+ years since I’ve graduated so I’m sort of far removed from the experience. 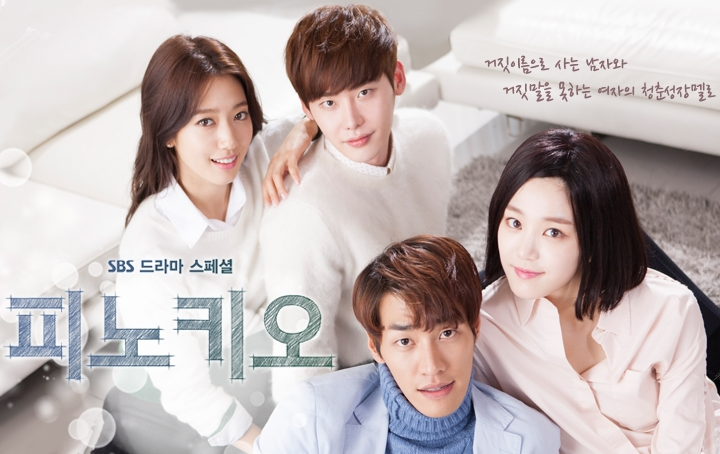 I did however enjoy SUFBB because it was an atypical kdrama…gritty and real. Plus, I liked the OST. If I have an hour to spare, I’ll probably check out School 2013 but right now I am watching Cheongdam-dong Alice too! The end of episode 2 seems to be a turning point in the story…hopefully SK grows a backbone but not at the cost of losing her principles. Otherwise it’s going to be cliche and I will definitely bail since I have a long list of other acclaimed dramas waiting for me. Pam, I hope the writers of Alice will try to stay the course. I really like the trajectory of the story so far. It has a sense of reality embedded in the fairy tale. But fairy tale in this case is not the whimsical atmosphere of the show; it’s the thematic illusion that happiness is only attainable through wealth. same here SH, High School/teen dramas doesn’t attract me anymore..i’m just too old for this type of dramas..its been 15 yrs past my HS life so its kinda awkward for me to watch..:) that is why i didn’t watch TTBY, SUFBB, Dream High 1&2..however, i’ve read about School 2013 two days ago and it happens that a lot of the cast in the drama are some of my favorite..the story with the casts in it interests me much, so i might just as well watch it..
i’ll trust you on this joonni..you’re the more expert when it comes to the in-depth understanding on behind the stories up to the directorial criticisms on kdramas..i’ve always regarded you as a pro :)..i’m starting to watch it now..
Joonni, since I trust a lot your drama judgment and senses… I will give a try to this show 😉 This drama looks refreshing and funny to watch it. Thanks for this Joonni. I just finished watching episode 1 and I totally agree with your assessment. I LOVE it. The characters and situations feel so real – I feel like I’m watching actual teenagers rather than dolls in a very expensive dollhouse like I did in To the Beautiful You. Jang Nara’s confrontation with the ‘bad’ student actually made me uncomfortable they felt so real. Can't wait to see where this drama goes – it's giving me hope that it will be as good as SUFBB, but more on the high school suff rather than music. I could viscerally feel In-jae’s panic as Jung-ho manhandled her. Such a scary situation. The music director is so funky. I can’t believe he picked “Happy Together” as the theme song. Heeheehee. When I first heard it I was like, “Am I hearing this right? The music director is on crack or something.” So unexpected and strangely awesome. I had the same reaction – I actually rewinded a bit and listened again. It’s so unexpected and so wonderfully ironic. I need to find that funky rock version of “Happy Together” now. And all the other parts of the score are great too. I’m glad we don’t get random inserts of sugary pop songs that turn the scene into an instant MV like TTBY or Faith. At least so far, we’ll see how it goes. I hope this show stays off the romance for the most part. Ah! and I almost forgot to say that I actually like the background music… it may be funky sometimes but it feels kinda modern and energetic at the same time. What I really like about this drama is the fact it’s taking it self seriously. It’s got this really dark tone about it that I love, and that’s probably because of the editing, directing and cinematography, but I also love the fact that each of the characters have their own little problems to deal with. I’m really liking Jang Nara character, because she’s not self righteous like some annoying school teachers (Gokusen comes to mind, Japanese Drama).